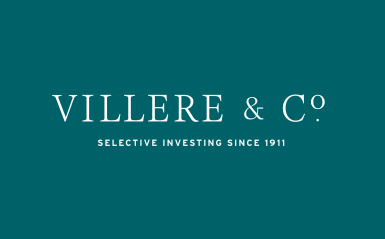 News Release Archives | Villere & Co.
Sandy Villere III • May 11, 2018 Advising clients to consider playing offense not defense and buying younger growth stocks rather than larger defensive names, Sandy Villere III provides reasons why he believes small-caps will do well in 2018. 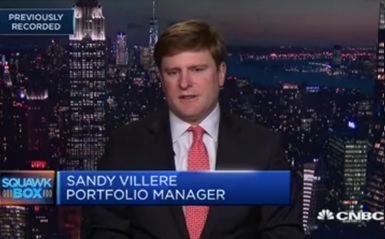 Sandy Villere III • May 7, 2018 Sandy Villere III discusses the strategy of the Villere Balanced Fund. As a bottom-up investor with an active management style, he sees the benefit of patience in long-term investing. Maligned stock pickers catch up to index funds. Can it last? Lamar Villere • March 22, 2018 With actively-managed funds finding favor again with investors, Lamar Villere thinks the volatility in the market provides opportunities for individual stock selection. Lamar Villere • March 13, 2018 Lamar Villere discusses what he believes is impacting volatility in the stock market. He doesn’t feel changes in administration in Washington are a major concern. 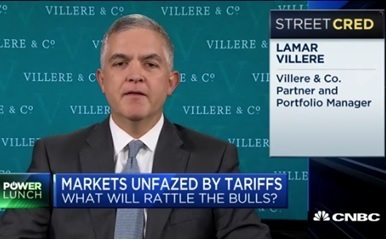 Lamar Villere • March 7, 2018 Lamar Villere talks about the U.S. stock markets, investment strategy, and impact of trade war with Pimm Fox and Lisa Abramowicz. Sandy Villere • March 1, 2018 Following Trump’s proposed steel and aluminum tariffs, Sandy Villere remains focused on smaller-cap names and bottom-up, fundamental stock picking. Sandy Villere III • January 12, 2018 Strengthening economy and tax cuts have Sandy Villere III feeling optimistic yet cautious about the market. He continues to hold more in cash as he looks for hard-to-find stocks of companies with strong growth but low prices relative to earnings and growth. Sandy Villere, III • December 26, 2017 Following ratification of the corporate tax reform bill, Sandy Villere III believes that the lowest-taxed technology sector will not be as impacted as the highest-taxed financial sector.